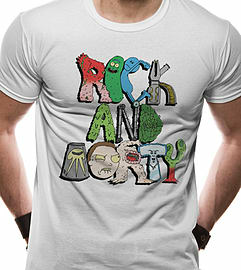 If you’re the ultimate fan of Rick and Morty, you’ll love this t-shirt! Designed with various characters from the TV show including Pickle Rick, it’s a great addition to any fans wardrobe. Buy the Rick and Morty text t-shirt today.